He indicated that the State of Qatar was readying the Qatar Investment Authority, the state-owned holding company that specializes in domestic and foreign investment, to explore opportunities in the areas of energy, tourism, agriculture, security, education, and infrastructural development in Ghana. With the state of insecurity in the Sahel, in West Africa, being of major concern to the world, the Emir stated that military assistance from Qatar, to help fight the scourge of terrorism in countries like Burkina Faso and Mali, was in the offing, and assured Ghana of Qatar’s support in helping to equip Ghana’s security apparatus to deal with the menace. 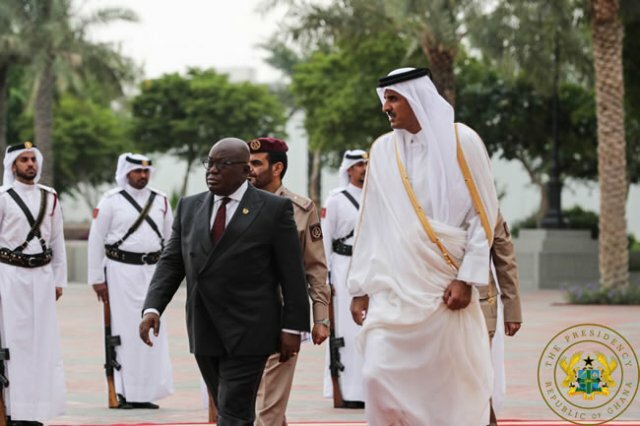 On his part, President Akufo-Addo thanked Sheikh Tamim bin Hamad Al Thani for the invitation to visit Qatar.